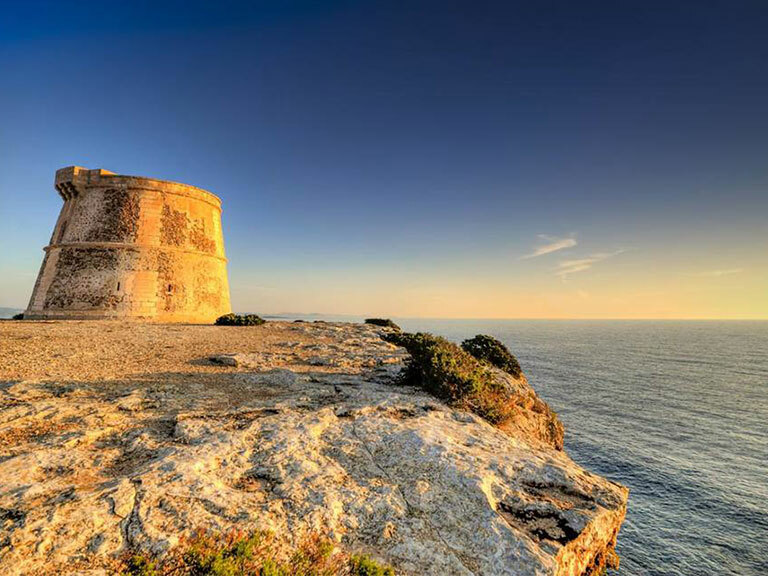 Formentera is one of the smallest islands of the Balearic Islands. 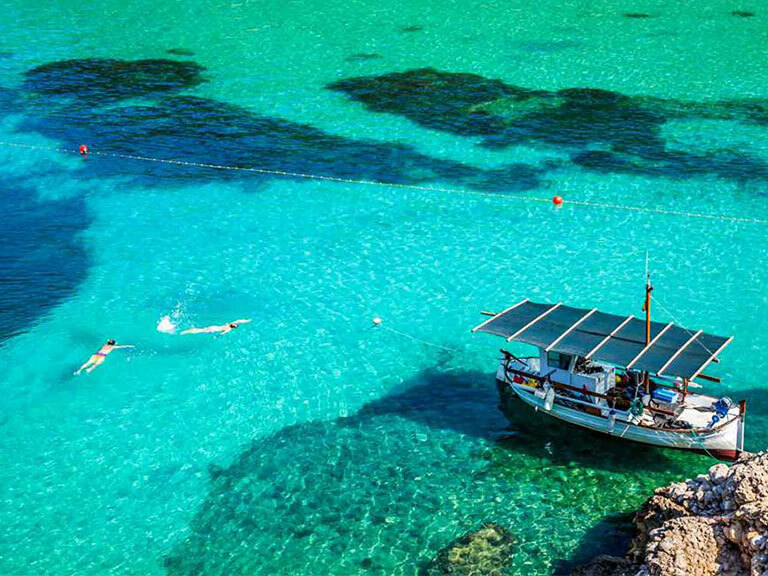 It is famous for its transparent waters unique for its transparency and turquoise color, its endless beaches and its restaurants on the beach. 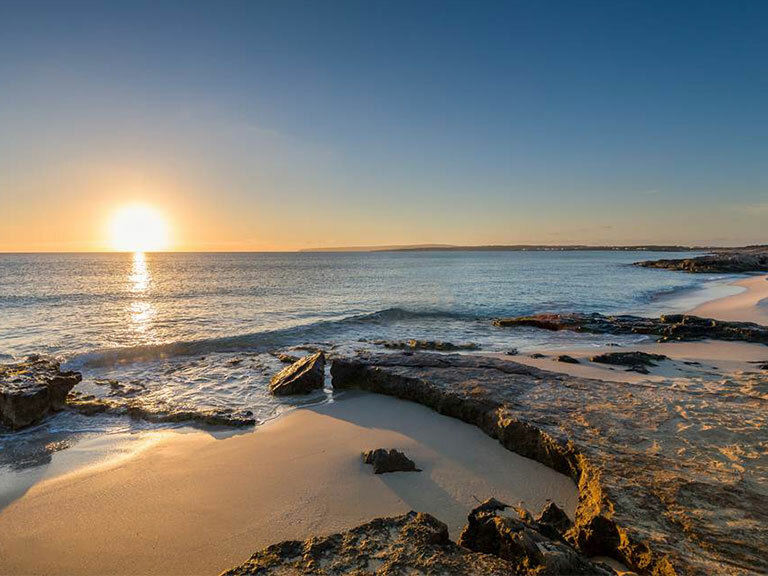 Formentera has a coast composed of numerous beaches and coves, as well as curious coastal corners. It is a very accessible island, with an area of 83.2 km2 and a coastline of 69 km, we can travel it mostly by bicycle thanks to its green routes. The characteristic turquoise color of its waters is thanks to the marine plant called Posidonia. 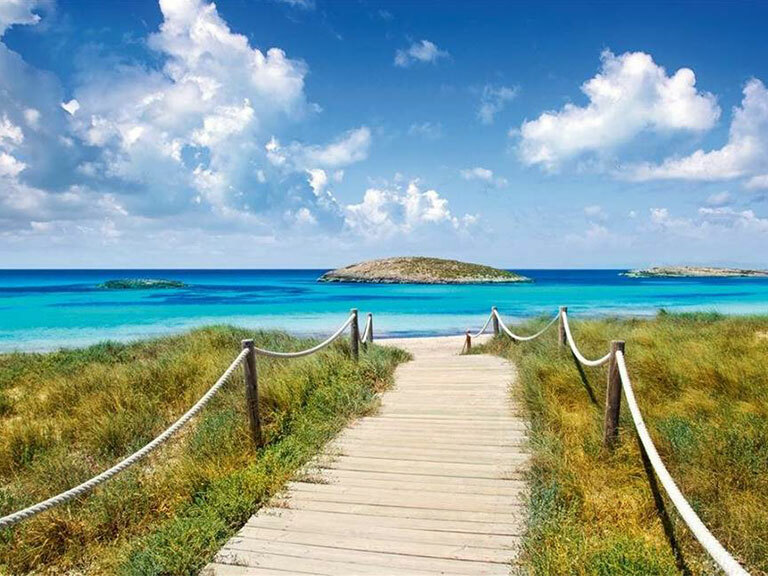 A paradise part of the Parc Natural de Ses Salines d’Eivissa i Formentera.